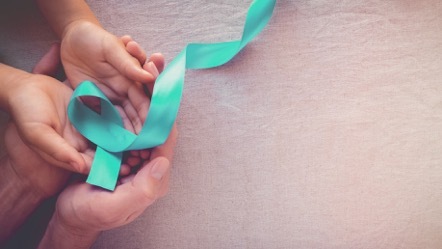 Raising awareness about ovarian cancer is essential because the disease is deadly and affects thousands of women each year. Ovarian cancer is more difficult to detect than other cancers and is often not diagnosed until it is too late. In honor of Ovarian Cancer Awareness Month, we will be hosting a #HERchat on Twitter with Dr. Shannon Westin. Join the discussion on September 20, 2018, at 7 PM EST. Follow us on Twitter (https://twitter.com/empowher) or search for #HERchat and #OCAM. 1. Be courteous of all opinions. We aim to have an open conversation where every woman can come to ask a question and share advice. 2. Be mindful of the conversation. Feel free to drop in and out during the course of the chat, but please stay on topic. All answers should be preceded by A1., A2., A3., etc. depending on the question. If you'd like to have an individual conversation that is off-topic, please directly tweet by mentioning (@) the user before you tweet. 3. Be authentic. This Twitter chat is a place to share real experiences and questions. We ask that you please keep #HERchat free of spam and other abusive tweets.